I have autism, but I have autistic friends. I use this phrase because my preferred language is person-first; however, I have lots of friends who prefer identity-first language, and I respect their decision. I have stayed quiet on the language issue for too long. Now is the time for me to have my say, as the issue seems to be blowing up. I personally like to use person-first language, because I am Lottie and I have autism. Autism is a big part of who I am, but it does not define me. I feel as though using identity-first language makes my autism define me. It makes it seem like they are saying this person is autistic, and by the way, they’re also Lottie. However, I also understand the merits of using identity-first language. I understand person-first language separates the person from the autism and identity-first language makes it fully integrated into them. What I don’t understand is how we are letting a matter of language tear our community apart. I got accused of writing the most offensive post a person has ever seen, because I used my preferred language, person-first, and their preferred language is identity-first. I believe if you don’t have autism you should always use the preferred language of the person you are talking to. If there are two people with autism talking, I believe you should both use your preferred language, and accept and respect that the other person may not use your preferred language. If there are people in the community using both types of language then there is a need, and a want, for both types of language. So we shouldn’t let this tear us apart from the inside — we have enough people trying to tear us apart from the outside. Let’s take this and show the world that although we may be different, we are united as one, we respect each other’s views and understand that what I think isn’t what everyone thinks. Let’s show a united front to the world, and show in our differences that we will unite to fight for our rights. Let’s show them we won’t let anything stop us. Who’s behind me on this one? I have autism but I have autistic friends. That fact will never change. The Mighty is asking the following: What’s one commonly held opinion within the community surrounding your disability, disease or mental illness (or a loved one’s) that doesn’t resonate with you? If you’d like to participate, please send a blog post to [email protected] Please include a photo for the piece, a photo of yourself and 1-2 sentence bio. Check out our Submit a Story page for more about our submission guidelines. Lottie Harland was diagnosed with Asperger syndrome when she was 9. It’s hard sometimes, but she wouldn’t be without it. 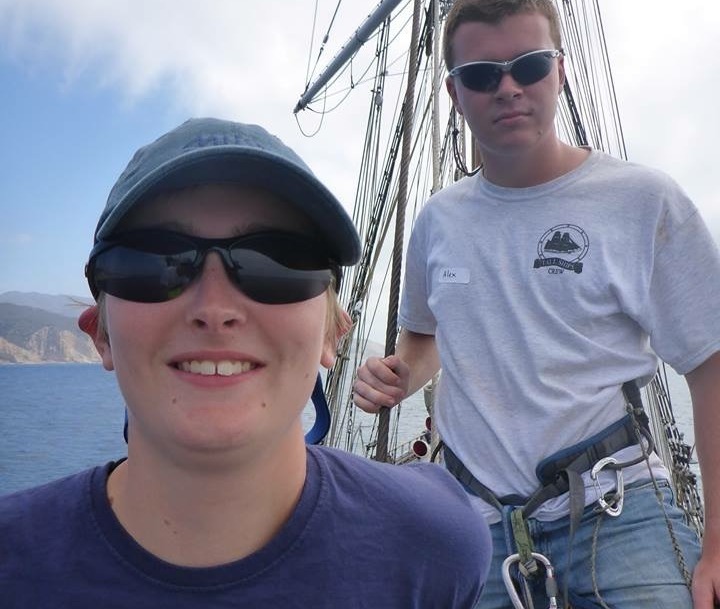 Sailing is her life — she started at the same time she was diagnosed, and it helped her develop to who she is today. She went through the squad system and got one step below the Olympic squads and competed in World Championships from the age of 12.